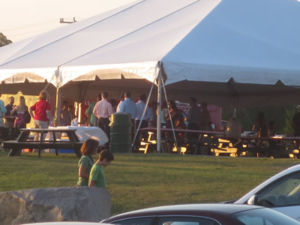 Outdoor venues that truly represent the beauty Massachusetts has to offer aren’t easy to find. 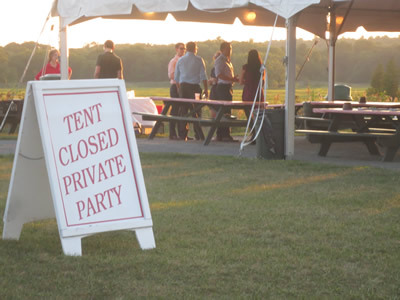 In addition to our Massachusetts function halls, we offer our Salt Marsh Tent for catered events such as wedding receptions, corporate luncheons and more. 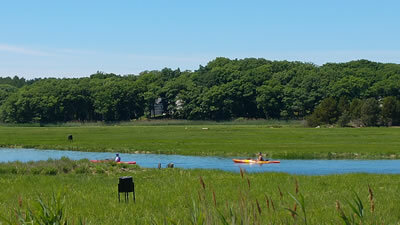 Nestled behind our restaurant on the North Shore of Massachusetts, the Salt Marsh Tent overlooks the scenic Essex River and salt marshes. Featuring eighteen picnic tables that seat six to eight people comfortably, this location has a capacity of up to 100 people with beer and wine service. 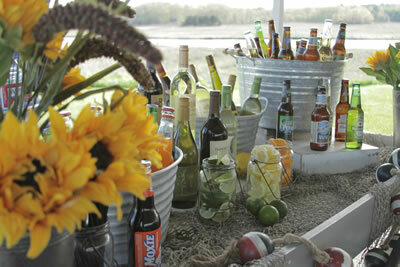 In addition, Woodman’s of Essex provides catering for all events. The breathtaking views of the winding river can be enjoyed under the tent from May through September. We have hosted rehearsal dinners, corporate events, birthdays, anniversaries, graduation celebrations, and more. In this casual yet beautiful space, we offer our signature clambake and barbecue menus – which have been lauded as both delicious and versatile. 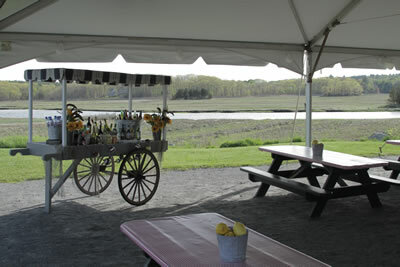 Contact us to discuss availability of our Salt Marsh Tent function hall and to tell us about your upcoming celebration.